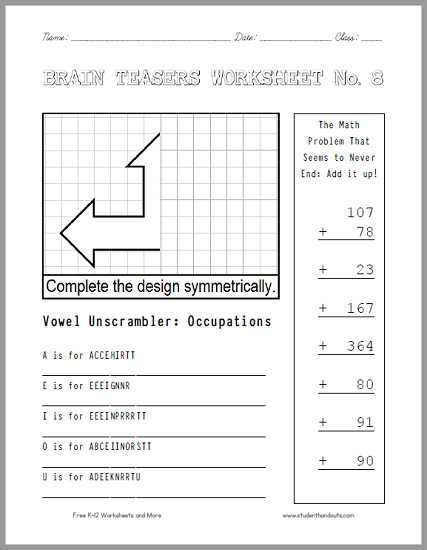 Here is another of our fun, popular brain teasers worksheets! This has students complete a symmetrical design against a grid, calculate the answer to a long addition problem, and unscramble the names of five occupations. Click here to print this sheet of head-scratchers (PDF file). 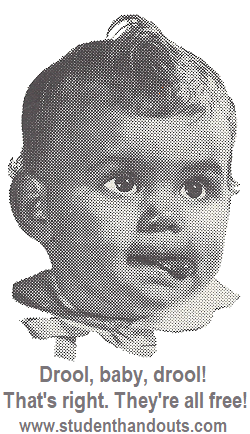 The "Vowel Unscrambler: Occupations" answers are architect, engineer, interpreter, obstetrician, and undertaker. The answer to the math problem is 1000. For more of our free printable head-scratchers, click here.